The K League Classic moves into round 11 this weekend roughly a third of the way through the main part of the season. The highlight this week in our opinion is the top vs. bottom clash between leaders Jeonbuk Hyundai and bottom side Daejeon Citizen. The league table is still developing as only 10 games have been played. Jeonbuk have already built a 8 point lead at the top, then sides placed 2nd to 10th are only separated by 5 points. Busan and Daejeon still prop up the table. Suwon Bluewings have won 2 but also lost 2 of their previous 4 games. Jeju United are currently 3rd but have only won 2 of their last 5 games. Jeju haven’t won away from home all season and therefore hosts Suwon will be the favorites. FC Seoul have 2 wins from their previous 5 games, but that also includes 2 draws. Jeonnam Dragons have struggled lately drawing and losing their last couple of games. We’re giving FC Seoul the slight edge in this one. League leaders Jeonbuk Hyundai have won 5 of their last 6 games and have a 8 point lead at the top of the table. 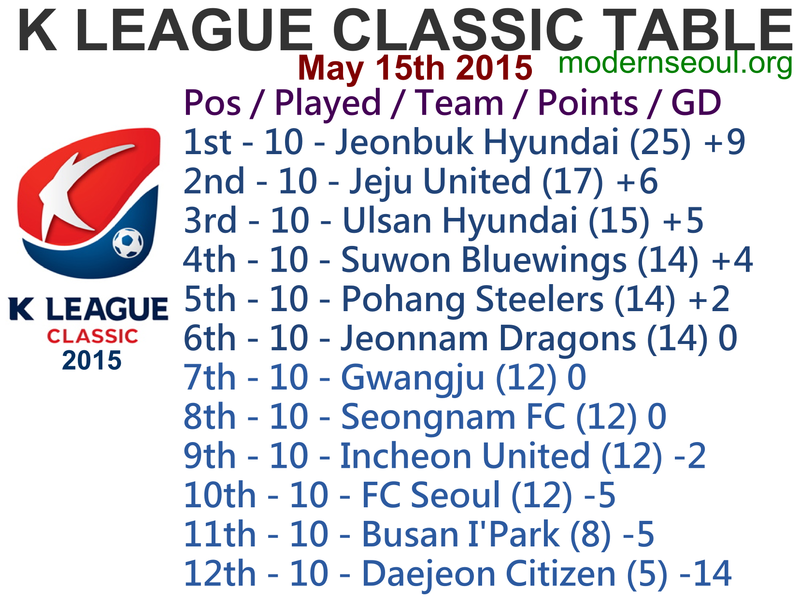 Bottom club Daejeon have picked up just 5 points from their opening 10 games this season. Jeonbuk will be heavy favorites to win this one, but it could prove a banana skin type of a game. Seongnam are unbeaten in 7 with 2 wins and 5 draws. 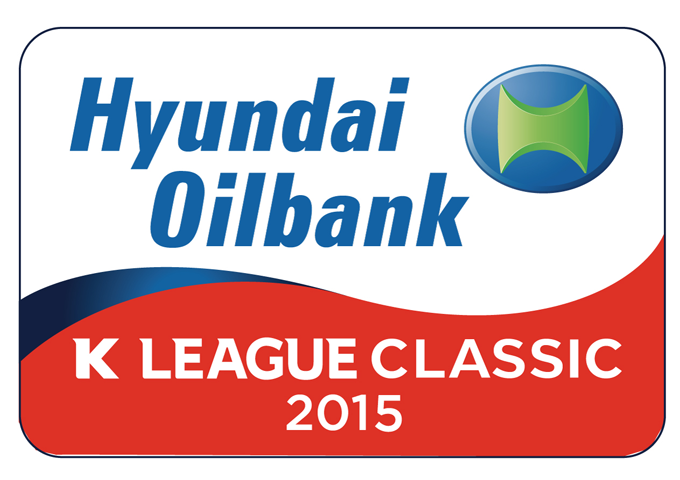 Ulsan Hyundai are currently 4th placed, but haven’t won in 6 games. We see this ending in a draw, as both sides cannot really afford to lose anymore form. Gwangju have picked up 5 points from their last 5 games. Pohang Steelers have 8 points from their last 5 games and are currently 5th in the table. This one looks close on paper, however we feel Pohang could edge it. Busan have picked up 4 of their 8 points this season from their last 3 games. Incheon United won for the second time this season last weekend and are unbeaten in 6. Incheon are one of the league form sides and so we see them taking all 3 points back to the North West. 4 Correct results but no perfect scores. The K League Challenge moves into it’s 10th round of the season and is still very close and competitive. The highlight game of this round is on Sunday afternoon as leaders Daegu host 3rd place Suwon City. Also this is the first round of the season featuring evening weekend ties. 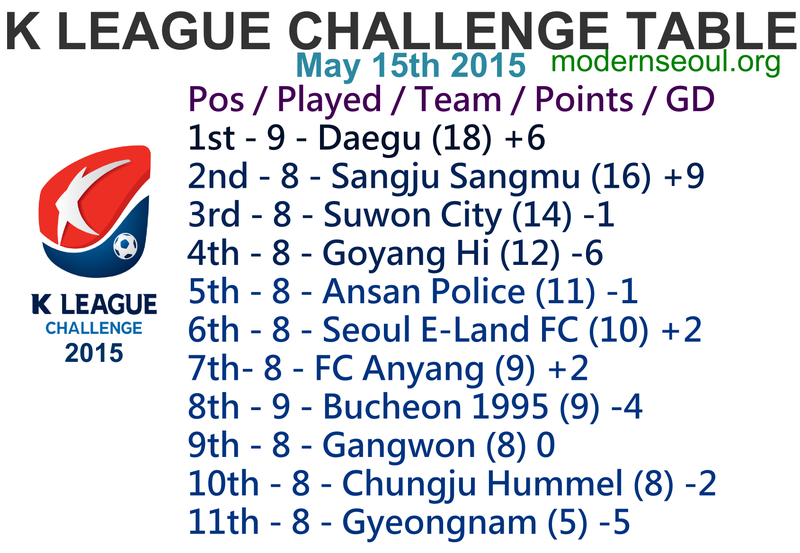 The K League Challenge table is now starting to take shape. Daegu and Sangju Sangmu currently lead the way, with the next 8 sides split by just 6 points. Gyeongnam are surprisingly currently bottom of the table. Prediction Update: Sadly nothing went our way as most of the top teams fell and the bottom teams improved.